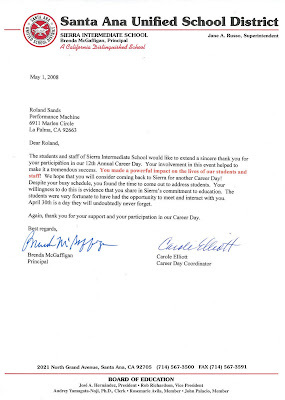 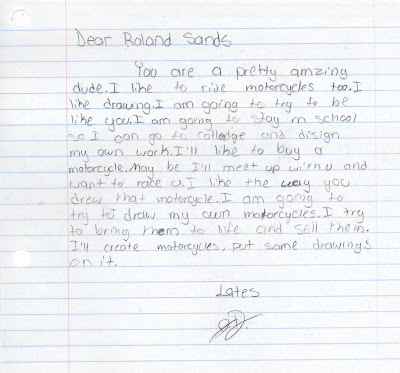 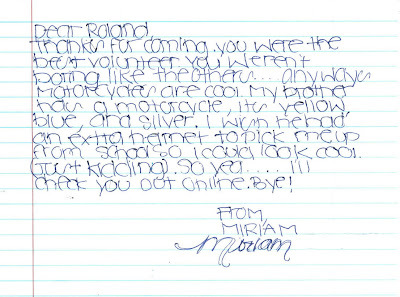 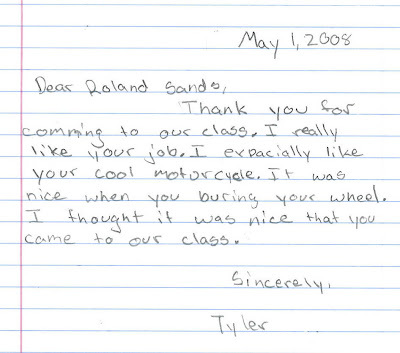 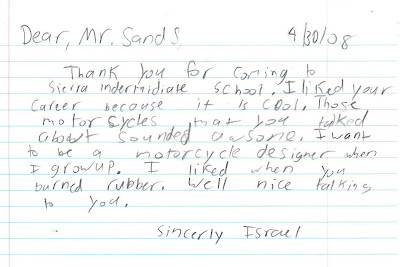 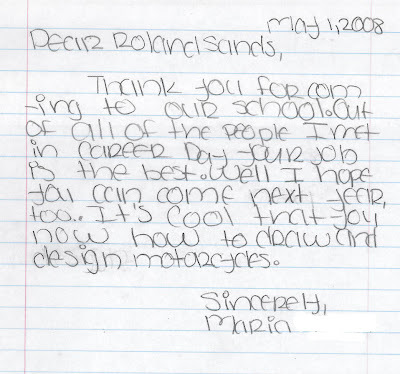 RSD recently received over thirty letters from 6th graders as well as a letter from the principal, Ms. Brenda McGaffigan, of Sierra Intermediate School thanking Roland for coming out to talk to students for their 12th annual career day. 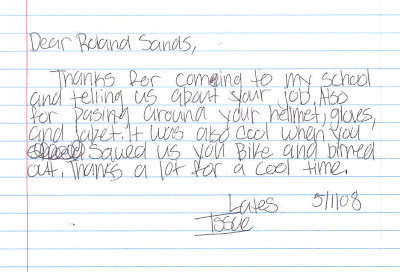 We believe this is one of the coolest things someone can do, to give back to the community and touch the lives of future generations. 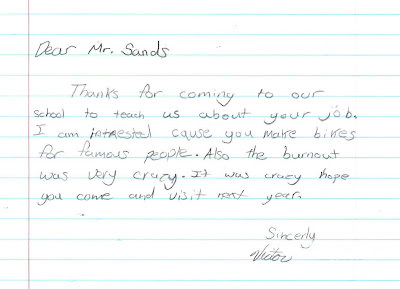 With all the chaos and deadlines Roland has to deal with, he still found time to go talk to a class of 12 year-old kids to give them the message that you can be and do whatever you want through hard work, focus, and determination.